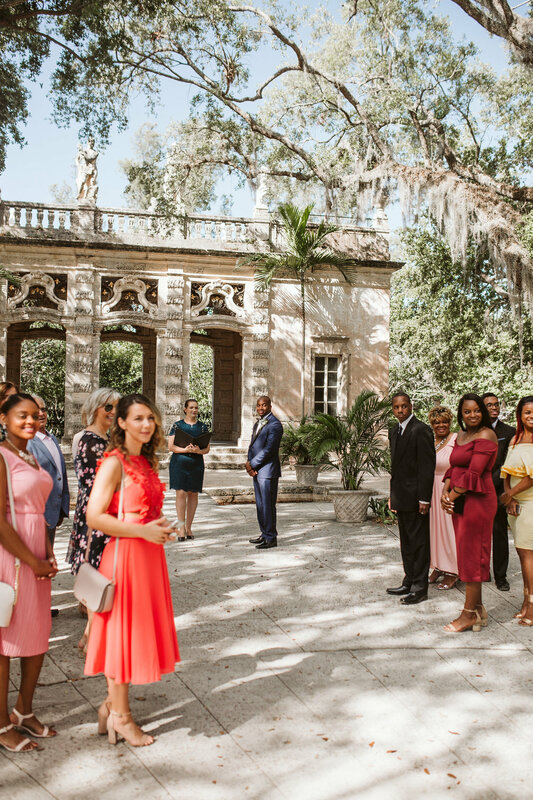 On a gorgeous spring day, Martina and Nate gathered 25 of their closest friends and family together to witness their intimate marriage ceremony after 12 years of dating. There was no stress, no rush, and no big show. 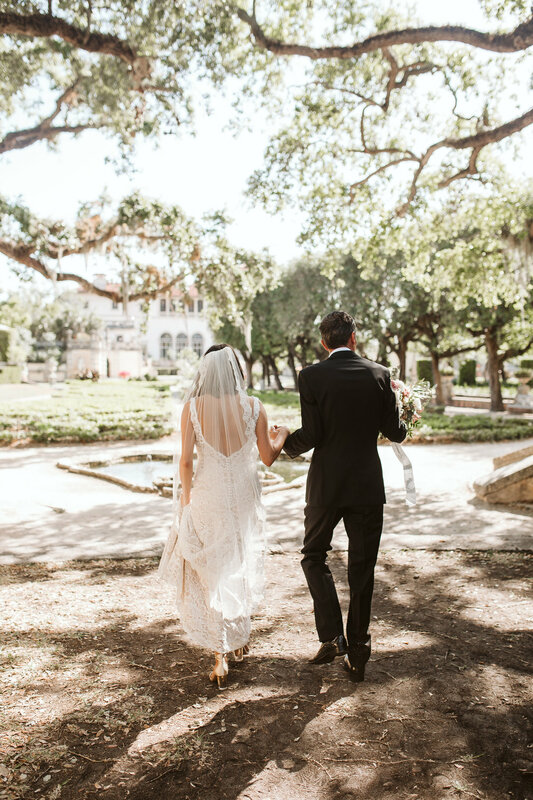 They were married by a close friend at the gorgeous Vizcaya Museum and Gardens, a venue that perfectly captured those romantic Italian vibes they wanted to channel. 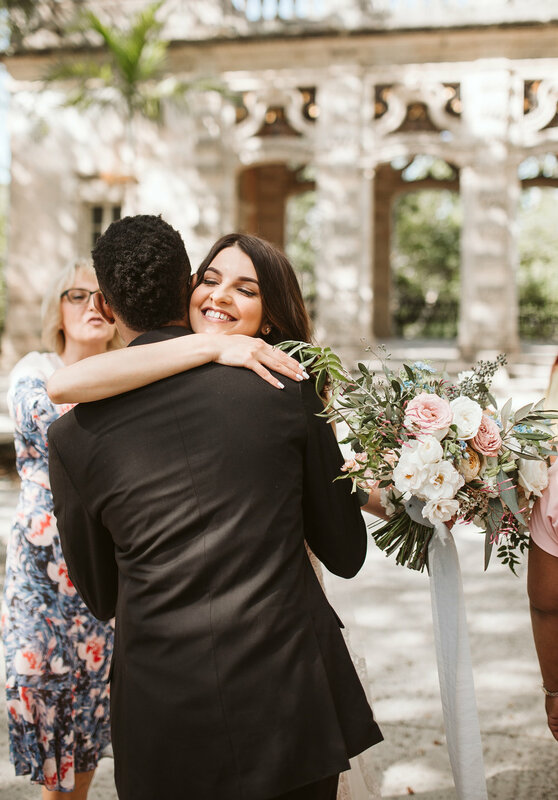 These two were so full of love for each other and their families, as soon as they were pronounced husband and wife, the two sides of the family melted together with hugs and congratulations. After the ceremony, I took them aside to capture some formals around the mind-blowing grounds and really, these two were GLOWING! Their energy is so wonderful as individuals and when they come together, they radiate good vibes. 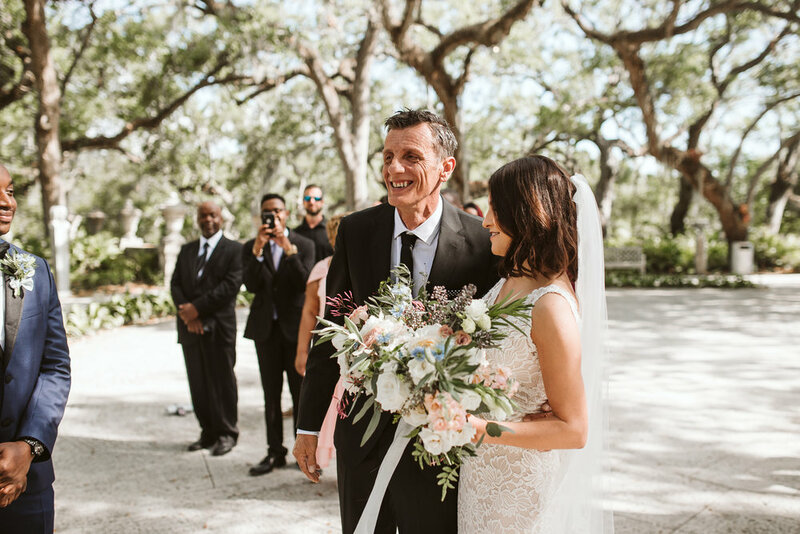 It might sound weird to say that I miss some of my clients when the time we spend together is so short, but this elopement was so lovely and intimate, it felt like I had known them forever. We met up back up with their families for a champagne toast and brunch before exploring the grounds a little more. After a nice long break in the afternoon tan, relax, eat, and celebrate, we gathered that evening at Casa Tua in South Beach, Miami for a small family dinner. 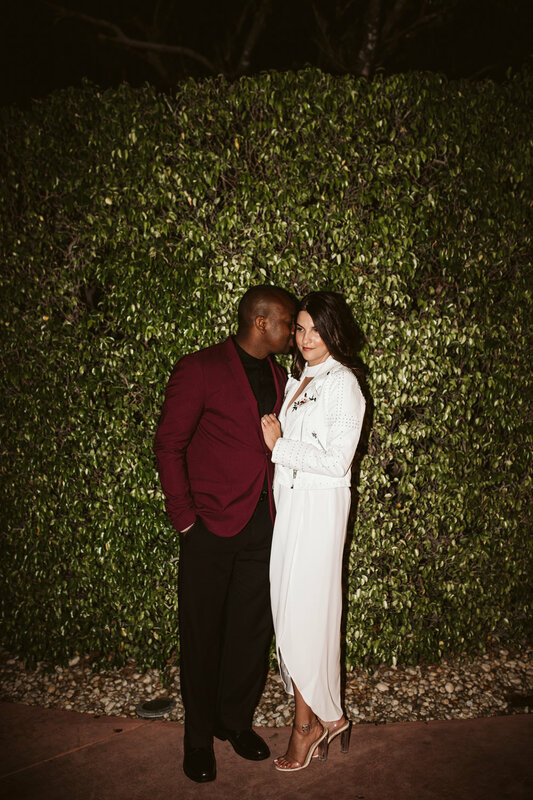 Champagne was popped, toasts were given, and even though literally a million things went wrong from the moment we all got to the restaurant, this couple kept their heads and continued to focus on the most important part: their love and their day. Sometimes all you can do is just ROLL WITH IT! I am so grateful for the bond I got to share with this couple and the opportunity I got to create art for them on their big day.